Microsoft have released the Windows 8.1 update in a bid to regain some of the credibility they lost with the original Windows 8. 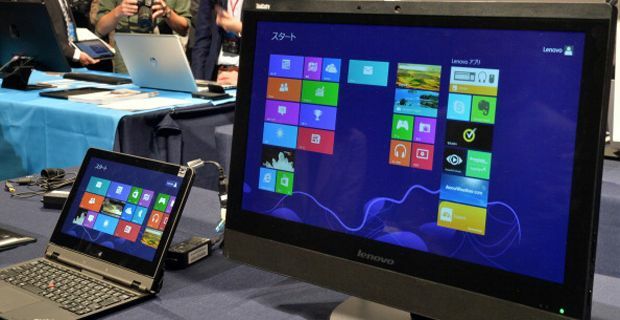 In a re-run of the Vista fiasco, Windows 8 proved to be a source of immense frustration to many users, attempting as it did to replicate a more tablet themed operating system. Users found themselves disorientated, confused and frustrated by the radical shift in design and have been complaining vociferously ever since. Critical to the new update is the feature allowing people to bypass the touchscreen style layout and revert back to a classic desktop interface. The reintroduction of the ‘Start’ button which opens up systems controls and a main menu. Windows 8 was initially designed to pre-empt the falling market for desktops and laptops and jump aboard the mobile curve. With desktop sales now at a five year low and sales consistently falling, Microsoft apparently wanted to build an operating system that bridged the divide between touchscreen systems for mobiles and tablets and traditional computing. In doing so however, they ended up with a middle ground fudge that won it few new converts and baffled many loyal Windows users. Microsoft is a company at a crossroads. With Android dominating the non Apple mobile operating system market and its own brand Surface devices selling poorly, the company needs to bolster its base as well as seeking new mobile markets. Servers offering the update went live at noon yesterday. The update is free to those already running Windows 8.